OMG: Kylie Jenner is pregnant, according to this old wives tale | SHEmazing! Kylie Jenner has a lot on her plate right now. Between her family warring with her former best friend Jordyn Woods due to the cheating scandal with Tristan Thompson and her own relationship troubles with boyfriend Travis Scott, she hasn't got much time for anything else. Except that her fans are convinced she is expecting baby number two. And it's all because of an old wives tale that they have spotted in his Instagram posts. 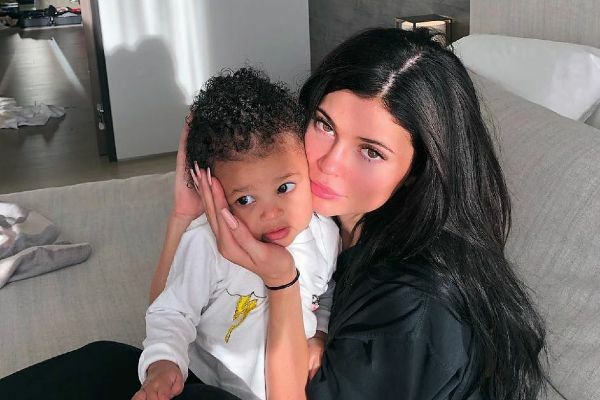 The 21-year-old uploaded an adorable snap of her with her daughter Stormi lying on her chest. She captioned it, ''My baby is stuck to me like glue lately." She then posted a sweet video of herself and her one-year-old, who is clinging to her. So what are fans taking from this? That Stormi's being super clingy with her mum is a sign that Kylie's pregnant because "babies know." Watch this space guys, the fans could be onto something.